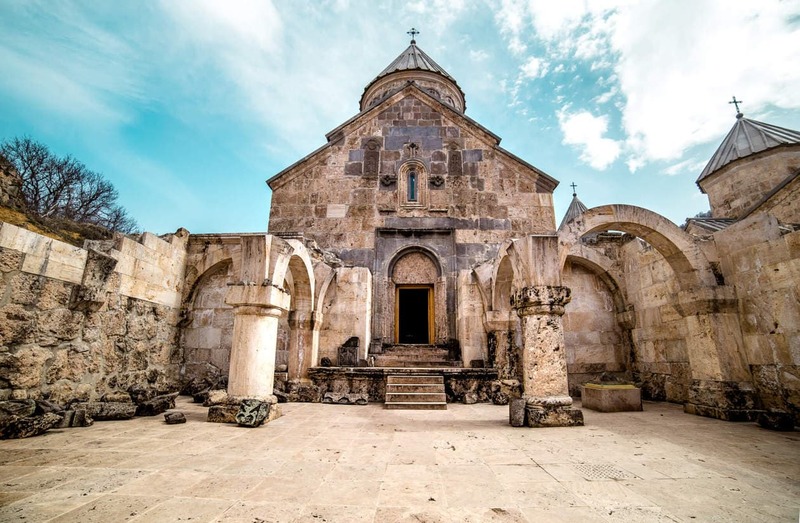 During our trip to Armenia, we spent 2 full days exploring the Northern part of the country. 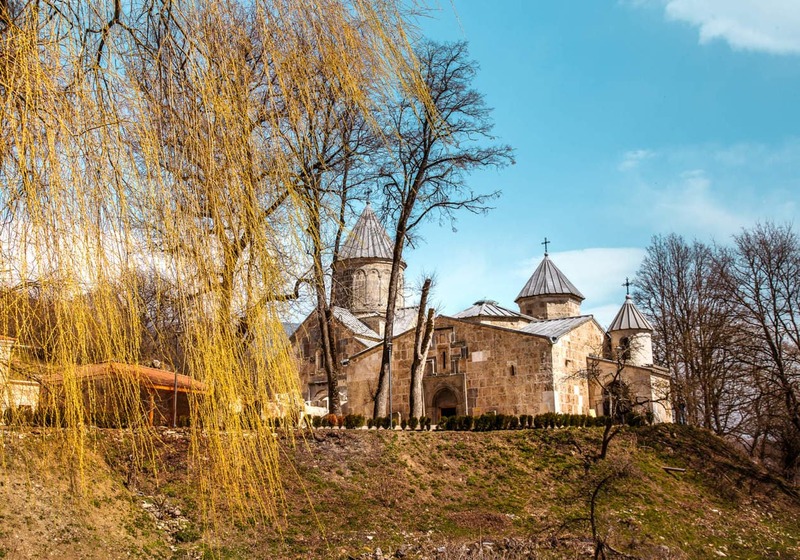 On the morning of the second day, we left our amazing hotel in Lori Province and made our way toward the Tavush Region to visit Dilijan and Haghartsin Monastery. 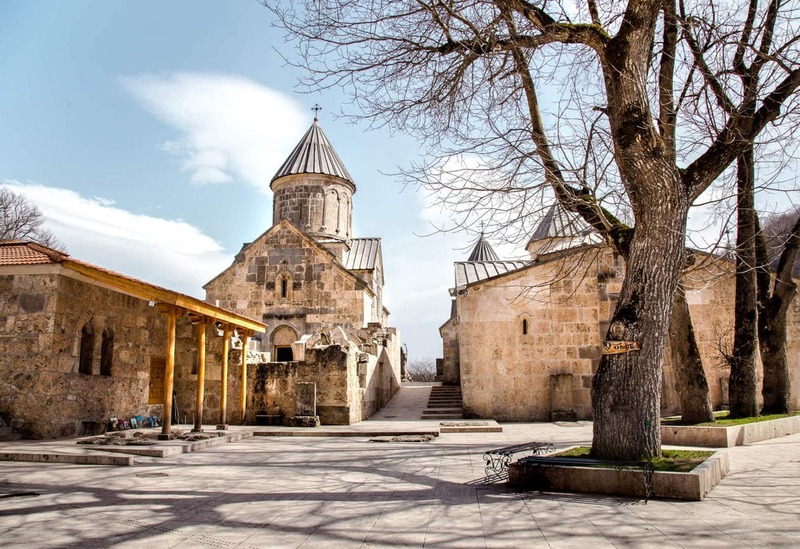 Haghartsin is one of Armenia’s most visited monasteries and it’s a popular (and easy) day trip from Yerevan. 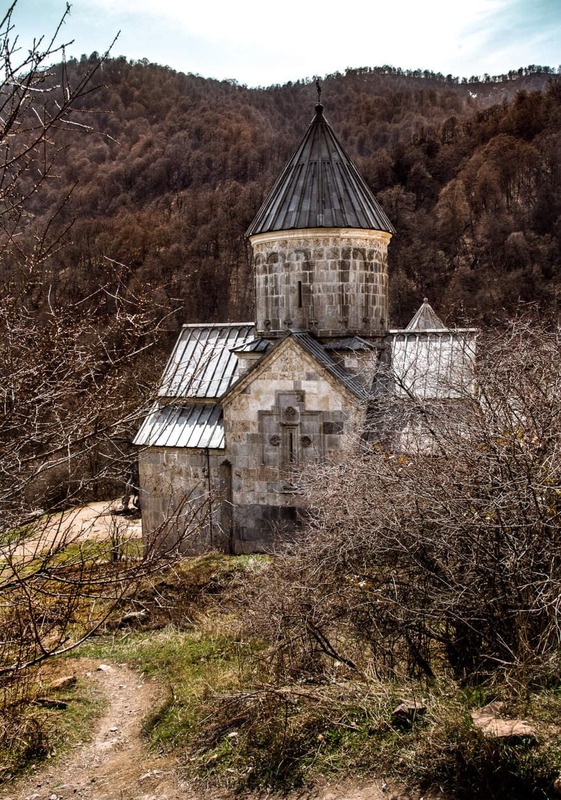 Haghartsin Monastery is located in the Tavush Province, near the town of Dilijan. 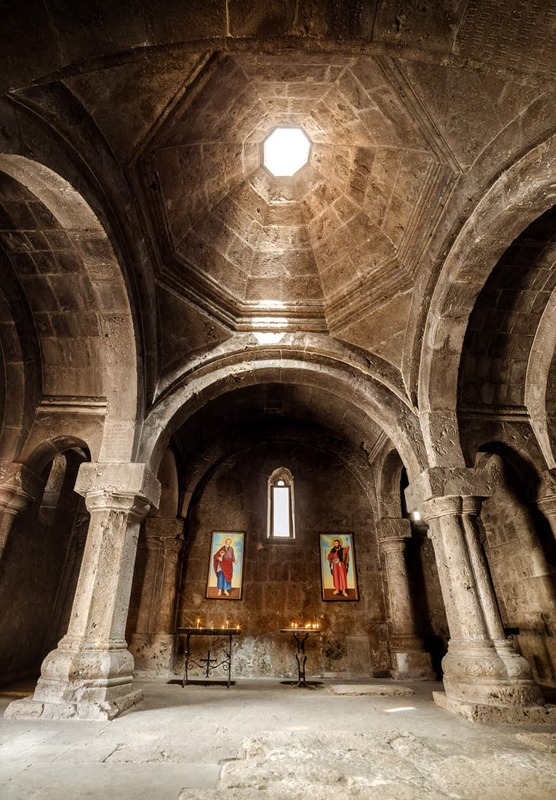 It was built between the 10th and 13th centuries, and similar to Noravank, there are three churches on the complex; St. Astvatsatsin Church (1281), St. Gregory Church (11th century) and St. Stepanos Church (1244). We decided to visit Haghartsin because of its location. 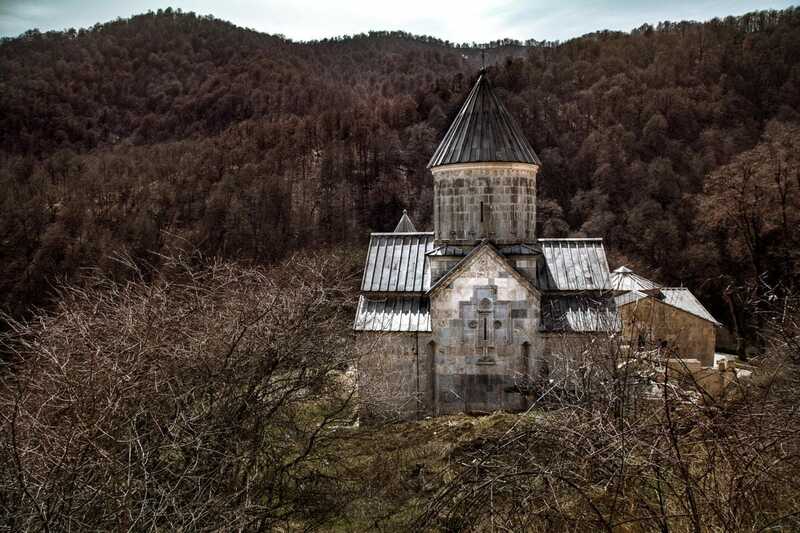 The monastery is located high on a mountain, surrounded by forest. Unfortunately, we visited during the wrong time of year (March) and the all of the trees were either dead or bare. It was a bit of a bummer, but I can only imagine how incredible the monastery would look tucked in amongst the lush green trees during the Spring and Summer. We spent some time walking around the complex and visiting the churches. We were 2 of 4 people exploring the complex, and it was super quiet up and away from the roads and villages. 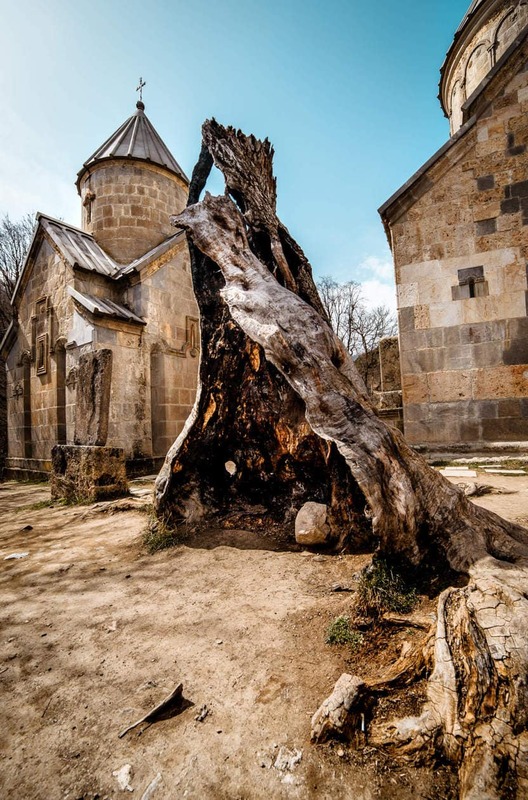 From the monastery, you can also visit the ruins of the medieval village of Haghartsin only 1.2 miles (2km) away. It was so peaceful on top of the mountain when literally out of nowhere, 50 cars came screeching in, honking and revving their engines. The leader of the caravan had a taxidermied fox tied to the hood of his car and following close behind was a limo. We found ourselves in the middle of an Armenian wedding at 2pm on a Tuesday, and it was incredible. 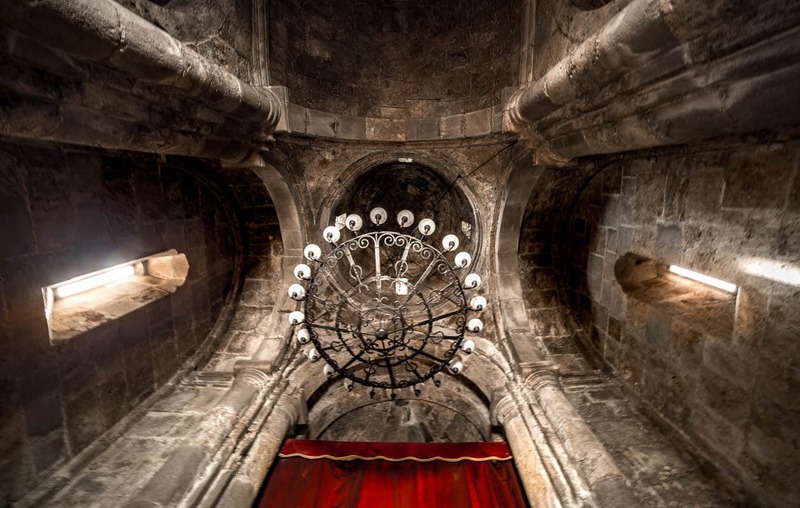 YEREVAN TO HAGHARTSIN MONASTERY Haghartsin Monastery is 69 miles (111 km) North of Yerevan. Google maps estimates that the journey will take 1 hr 47 minutes, but I would double (maybe even triple) that time. The road conditions in the North are rough and it took us much longer than expected to get around. 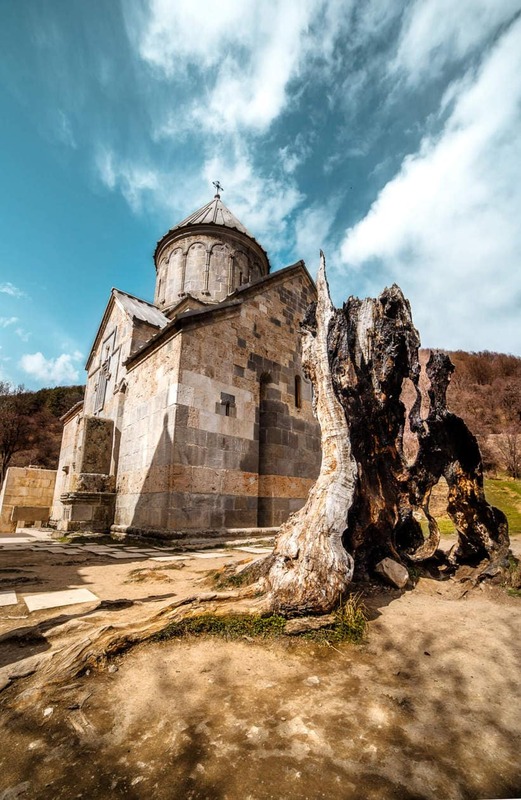 If you prefer not to drive yourself, you can join an inexpensive day tour from Yerevan ($27 USD) which will take you to see Haghartsin Monastery, Goshavank Monastery, Lake Sevan and Sevanavank Monastery. 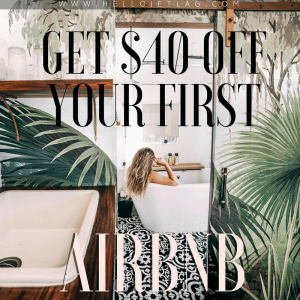 For more information about the tour click here. ALSO BE SURE TO SEE If you’re in the area, make sure to stop at Lake Sevan, the largest body of water in Armenia. Right on the lake is another monastery called Sevanavank. 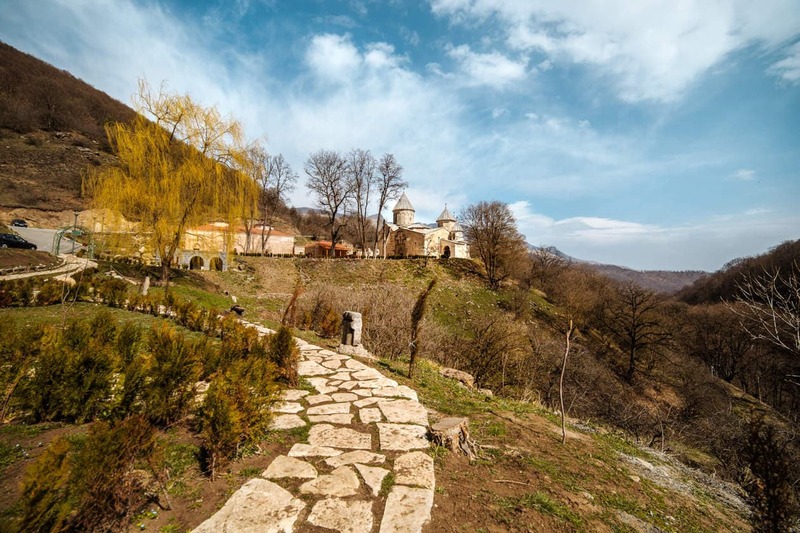 You can also stop (or spend the night) in Dilijan, the main town in the Tavush region. Dilijan is nicknamed “Little Switzerland” by locals. That seems like a stretch but during the right time of year, I bet it’s a beautiful place to spend some time.